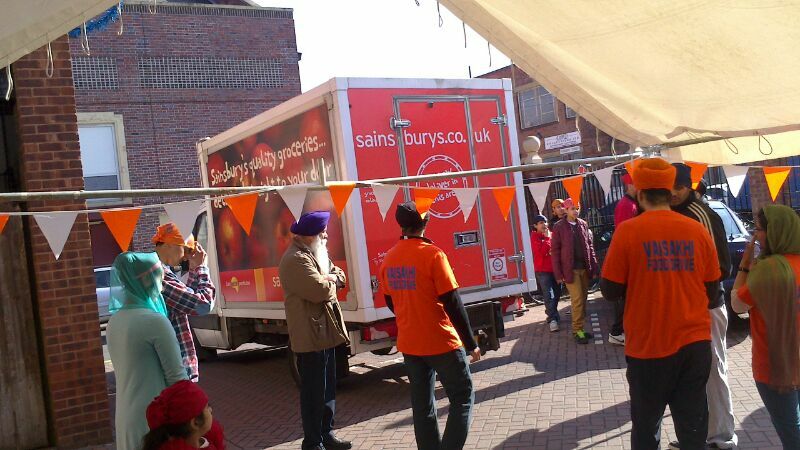 On Sunday 13th April the Sikh community of Leicester, along with the Leicestershire Sikh Alliance, Kaurageous Leicester and the Leicester Council of Gurdwara’s teamed up with charities, FareShare, British Red Cross and The Dawn Centre and held a Vaisakhi Food Drive at Guru Tegh Bahadur Gurdwara on East Park Road. 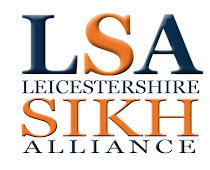 In order to celebrate the holiest Sikh day in the calendar, Vaisakhi, this year the Sikh community wanted to undertake an initiative which would make this most holiest of days not only relevant to the Sikh community, but also relevant to all the people of Leicester. Due to the economic climate and the harsh realities that thousands are facing in Leicester, which includes a sharp rise in food and child poverty, it was decided that the most productive venture to undertake would be to work with existing charities and help replenish their significantly depleted stock levels. All in all the day was a huge success and the Sikh community would like to thank all those that volunteered and donated on the day, which included people of all backgrounds and communities. It was also great to see Jon Ashworth MP and Cllr Inderjit Gugnani, who were official supporters of the event, spend a significant amount of time at the event and donate also. Due to the vast number of donations, volunteers ceased counting the food items and we estimate that roughly 8-10 tonnes of food was donated by the community of Leicester. 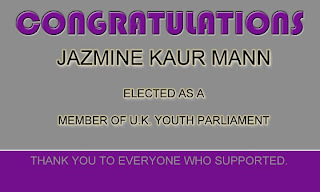 Well done everybody! A special thanks also needs to go to Kohinoor Radio [97.3 FM] who promoted the event every hour on the hour for a whole week (www.krfm.co.uk). Amazing effort- well done to all involved.